While the death of Anthony Bourdain has been met with shock and sadness throughout the world, that pain is especially felt in our community. With his unique voice and acerbic wit, Mr. Bourdain dedicated his writing and television career to uncovering the lives of those in the shadows. From waiters and line cooks, to the oppressed and forgotten peoples stuck in the middle of geopolitical conflicts around the globe, Bourdain used his considerable platform to showcase “regular people doing everyday things” rather than sensationalize their differences. But more than simply telling their stories, he allowed his subjects to speak for themselves, to give his audience a glimpse into someone else’s life without the filter of interpretation. 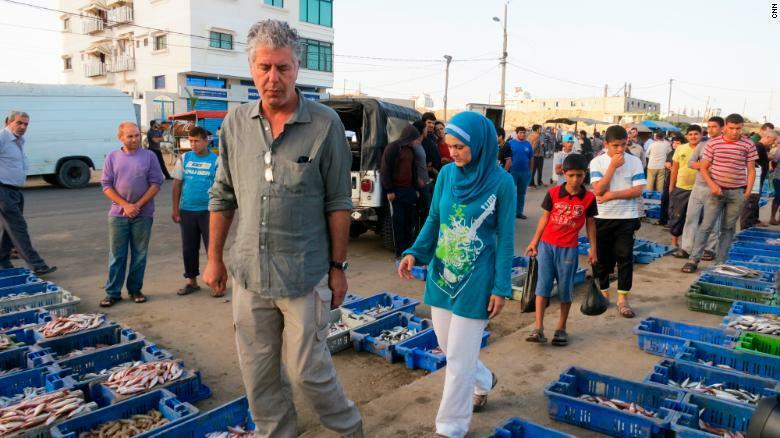 In 2014, the organization I work for, The Muslim Public Affairs Council’s (MPAC) Hollywood Bureau awarded Mr. Bourdain with its “Voices of Courage and Conscience” Media Award for the Israel-Palestine episode of “Anthony Bourdain: Parts Unknown,” where he approached the issue of the Israel-Palestine conflict with authenticity, nuance, and inclusivity. In accepting the award, Mr. Bourdain said that while he appreciated the honor, “there was very little courage and, one would hope, an ordinary amount of conscience at work in producing our Israel-Palestine episode of Parts Unknown.” While much has been written and studied about the conflict, what sets Mr. Bourdain and his team’s work apart was their choice to show both Palestinians and Israelis as ordinary people — with hopes and dreams of their own, with children they are struggling to raise in the midst of a conflict not of their own making. In short, he showed them to be just like us. Anthony Bourdain wasn’t an ally to our community in the traditional sense, but his focus on our common humanity made him one of the most powerful voices for inclusion in our nation. As a Muslim woman, to see myself on a major TV network — not being portrayed by an actor — but to actually see myself and the people I know, the people like my family, being presented as I know them, was groundbreaking. In a time when so many people talk about our community, Anthony Bourdain and his team actually spoke to our community. That is a perspective that will not be replaced any time soon in mainstream media. It is especially poignant that Mr. Bourdain left us right at the end of Ramadan, the time when we as Muslims share a meal with our families and our neighbors to break our month-long fast. This breaking of bread was at the core of Anthony Bourdain’s work: that no matter where in the world we were from, no matter our political differences, we could all come together over a meal and see that we’re not that different, after all. At MPAC, and throughout our Muslim community, we will mourn the loss of this American storyteller whose work made our world just a little bit smaller. Sue Obeidi is the Director of The Muslim Public Affairs Council’s Hollywood Bureau, which consults on TV and film projects, and connects American Muslim talent to decision-makers — both on the creative and business sides of the entertainment industry.